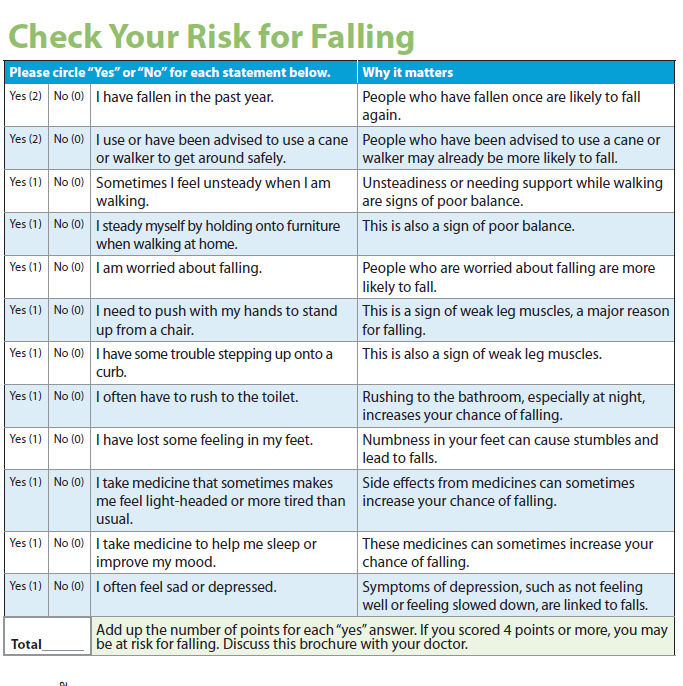 *This checklist was developed by the Greater Los Angeles VA Geriatric Research Education Clinical Center and affiliates and is a validated fall risk self-assessment tool (Rubenstein et all. J Safety Res; 2011:42(6)493-499). Adapted with permission of the authors (Centers for Disease Control).